Democratic Sen. Richard Blumenthal introduced Senate Resolution 337 on Dec. 17, which was referred to the Congressional Committee on Commerce, Science, and Transportation for consideration. “Charles Darwin developed the theory of evolution by the mechanism of natural selection, which, together with the monumental amount of scientific evidence Charles Darwin compiled to support the theory, provides humanity with a logical and intellectually compelling explanation for the diversity of life on Earth,” the measure reads in part. 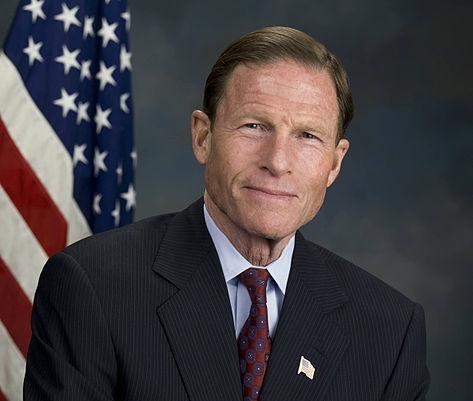 Blumenthal’s effort serves as a companion to a resolution introduced in the House of Representatives by Rep. Jim Himes also of Connecticut. Co-sponsors of Himes’ measure include Charles Rangel, D-New York; Eleanor Holmes Norton, D-District of Columbia; Alan Grayson, D-Florida; Alan Lowenthal, D-California; Matt Cartwright, D-Pennsylvania and Mark Pocan D-Wisconsin. The American Humanist Association says that it has been attempting to have the resolution passed for the past five years. As previously reported, since 2006, hundreds of so-called churches across the nation have commemorated Darwin’s birthday each year with “Evolution Sunday.” But to counter the celebration, Tony Breeden, the founder of Creation Letter, created “Creation Sunday” in 2009 so that churches could publicly proclaim the truth of Genesis. According to historical documentation, not all of those who accompanied Darwin on his journeys supported his theories. During the 1860 Oxford evolution debate, Admiral Robert FitzRoy, who had once served as the captain for Darwin’s voyage to the Galapagos Islands and played a significant role in the development of the Origin of Species, repented of his participation.